The provision of automated external defibrillators (AEDs), supplied by Safelincs, across its region, has helped Berkshire council, Bracknell Forest, win the Public Sector Organisation of the Year Award in the annual Heart Safe Awards. The council operates a Members Initiative Fund that allows Bracknell Forest councillors to spend up to £15,000, within their wards, supporting local groups and projects that make a difference to their local community. Councillors canvassed local opinion and found there was a requirement for AEDs – devices that can stabilise the heart rhythms of a person having a cardiac arrest. They enable lay responders or bystanders to use them successfully with little or no training. Safelincs has now installed over 50 of these devices in public areas such as community centres, schools and small retailers – notably those that have a post office counter. These are delivered together with cabinets where required. 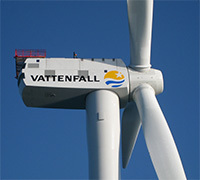 Such has been the success of the project that a neighbouring council is looking at adopting a similar scheme. Heart Rhythm Week is a yearly event designed to raise awareness of how to detect, protect and correct heart rhythm disorders. Taking place this year from the 1st until the 7th of June, we support this vital awareness week, helping to increase public awareness and increase the number of automatic external defibrillators (AEDs) available in communities. Would you know what to do if you witnessed someone having a sudden cardiac arrest (SCA)? A survey carried out by the Arrhythmia Alliance in 2013 showed that over half of the UK’s population underestimate the importance of swift first aid for people suffering cardiac arrest. The significance of defibrillators as first aid equipment is also highlighted by some stark statistics comparing survival rates relative to the available treatment. The chances of survival for people suffering from a sudden cardiac arrest can range from an average of just 9% for those attended to by CPR alone, to 74% for people treated by a defibrillator within 5 minutes. This statistic is a powerful indicator of the difference a readily available defibrillator can make. 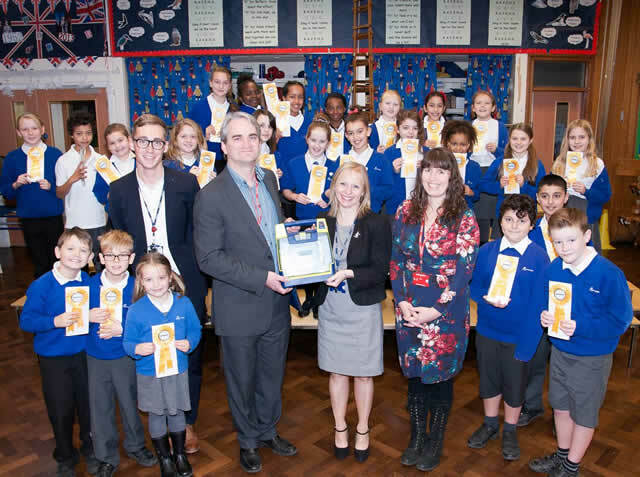 Safelincs underpinned its commitment to raising awareness of this issue by running a competition for schools to win a defibrillator. We invited schools across the country to submit a short video demonstrating the benefits of having a defibrillator in their school. The winning entrant was Ravensdale Junior School, and we took great pride in presenting them with a defibrillator earlier this year. Watch their winning entry here. 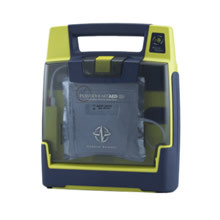 For further information about defibrillators, please visit the defibrillator section on our website. In October and November 2014 Safelincs reacted quickly to requests from the Department for International Aid, to provide safety equipment for shipment to West Africa as part of the UK Aid response to the Ebola crisis. Defibrillators, powder fire extinguishers, fire bells, mini megaphones and smoke alarms formed two large consignments shipped within days of receiving the requests with special transport directly to Cotswold Airport to meet aircraft for onward transit to Africa, where they were utilised in new health centres built by Britain to save those suffering from this deadly virus. All the items were shipped on fumigated wooden pallets to ensure adherence to export rules. The outbreak of the Ebola virus primarily affects three countries in West Africa: Guinea, Liberia and Sierra Leone. Around 21,000 cases and 8,400 deaths have been reported globally by the World Health Organisation. 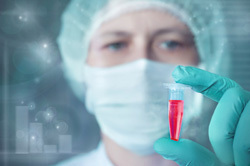 Since the strong commitment by the international community started in earnest, the rate of new infections has reduced significantly but the virus still remains a major threat. Despite several campaigns to increase their numbers, the restricted availability of automatic external defibrillators (AED), and poor understanding of how to use them, is contributing to the stubbornly high number of deaths from heart attacks occurring outside hospitals, a recent study suggests. The machines work by giving an electric shock to the heart to restore its rhythm. The research was carried out in Hampshire by the University of Southampton and South Central Ambulance Service and is published in the online journal Heart. It set out to discover how available external defibrillators are, given the push for their deployment in public places, such as shopping centres and train stations, over the past decade. During the study period of one year, 673 known PADs (public access defibrillators) were located in 278 Hampshire locations. Researchers found that, out of 1,035 emergency calls, the caller could access a defibrillator in only 44 cases. The caller was actually able to use the defibrillator in only 18 cases, and the report’s authors said that more education was needed to give bystanders the confidence to use the machines, which can save the lives of patients while waiting for an ambulance to arrive. The research highlighted the need for more defibrillators in public places with doctors saying they should be as common as fire extinguishers. 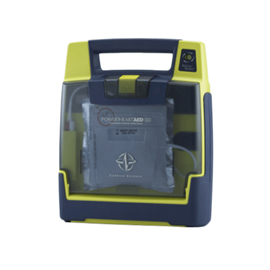 The type of AED is essential when selecting defibrillators suitable for public use where no prior training is likely to be given. Fully automated defibrillators will make the use of the defibrillator as easy as possible. The units not only offer spoken and visual indicators about each step, they also automatically analyse the heart rhythm and will automatically select the correct level of shock for the person with the heart attack. 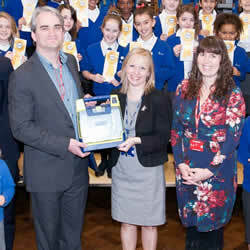 Purchasing defibrillators for schools, sports clubs and businesses can be a challenge. What are semi-automatic and fully-automatic defibrillators and which of these are suitable for non-professional staff? When should a defibrillator be applied? What training is required and how do we look after the defibrillators’ maintenance? To help with these questions we have created a thorough but easy-to-read guide ‘Automated external defibrillators (AEDs) – a guide to their purpose, design and maintenance’. Some of our customers have also been concerned about their legal obligations once they installed a defibrillator. 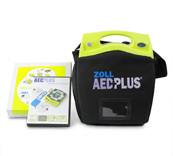 Could an AED cause harm to a person being resuscitated? Could there be litigation if a defibrillator should be used incorrectly? Again, we have tried to answer these questions in a helpful and accessible manner. Our guide ‘The use of automated external defibrillators: some health and safety / legal considerations’. This guide will help you put your concerns in perspective and offers some easy steps of how to minimise any risks. Safelincs has won a tender to install a defibrillator in each of a leading charity’s nine UK offices. A defibrillator is a machine that delivers an electric shock to the heart when someone is having a cardiac arrest. 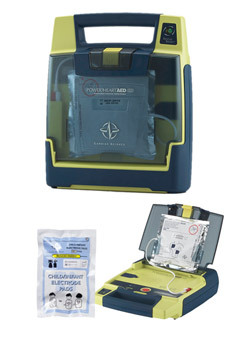 These machines are also known as AEDs (Automated External Defibrillators). Acting quickly when someone is in cardiac arrest and fighting for their life is crucially important. Around 60,000 out-of-hospital cardiac arrests occur in the UK every year. “There are no laws in force in the UK requiring employers to provide defibrillators for their workforce, but we are seeing an increasing interest in them from organisations,” said Stuart Baxter, Business Development Manager at Safelincs. The Institution of Occupational Safety and Health, the British Heart Foundation and Resuscitation Council UK all recommend the deployment of defibrillators in the workplace.